Lake Roland (park) is often featured in local and community magazines and publications. Here are some recent examples. Adult and children programs at Lake Roland are featured in Roland Park News Winter 2018. Towson Lifestyle October 2018 includes a feature on Peter Lev, Lake Roland Nature Council Executive Board member and Baltimore Bird Club President, and birdwatching in the area. Ruxton Riderwood Lake Roland Area Improvement Association Neighborhood News Winter 2018 features an article about adult and children programs at Lake Roland and the final phase of the fishing pier restoration. Towson Lifestyle September 2018 calls Lake Roland the most pet welcome park in the area. Summer 2018 issue of Roland Park News features owls that frequent Lake Roland and an excellent Lyme Disease prevention article. An Op-Ed in the Baltimore Sun emphasizes the importance of keeping our four-legged friends leashed and their waste picked up. The article also outlines the impact of this type of activity unchecked can have on parks including the historical damage that had occurred at Lake Roland, damage that has since been remediated, and to park patrons by this irresponsible dog owner behavior. This unchecked behavior at Lake Roland was a significant contributing factor in the park’s decline and then failure prior to Baltimore County taking over the park. “Holiday Party in the Woods,” “Street/Stream Clean Efforts,” “Neonicotinoids,” and “Lake Roland Events” are all articles of interest in the Spring 2018 RRLRAIA Neighborhood News regarding Lake Roland. And more news about Lake Roland’s Serpentine in Marilandica Winter 2017 edition: Conservation Update: Serpentine Grassland Restoration at Lake Roland. Lake Roland’s historic carriage bridge restoration was featured in the Fall 2017 Roland Park News. The restoration of the historic carriage road bridge on the pink trail is featured in the Fall 2017 RRLRAIA Neighborhood News. “The Facts about the RRLRAIA and The Village of Lake Roland,” ranger profiles, and more are featured in Spring 2017 RRLRAIA Neighborhood News. The opening of the Lake Roland Nature Center was featured in the Winter 2016-2017 RRLRAIA Neighborhood News. The Guilford Garden Club, the Lake Roland Nature Council’s partner in the park’s master plan design framework and landscape design plan for the park’s new nature center, was featured in the October 2016 edition of Baltimore Style Magazine for their marque garden project at Friends School. In October 2016 the Baltimore Sun previewed the opening of the Lake Roland Nature Center online and in the print edition. The online newspaper, Patch, also documented the opening of the Nature Center. Baltimore Fishbowl wrote about Jones Falls River Remodeled With Trout In Mind. Lake Roland was featured in the June 2016 edition of Baltimore Style Magazine. The Fall 2016 RRLRAIA Newsletter provided extensive coverage of park activities including rescued animals at the park, the benefits of establishing a Riparian Buffer, Art on the Trail updates and awards received by both park staff and volunteers. Several articles in the Baltimore Sun: Bridge at Lake Roland, Jones Falls Trout Restoration Project, Earthday and Lake Roland. The March 24, 2016 Towson Flyer reported on the positive changes that are occurring in Lake Roland including the construction progress on the Lake Roland Nature Center. The Spring 2016 RRLRAIA Newsletter provided extensive coverage of park activities. Our Ranger Jeff Ruark was featured in a multi-page article. Updated information on the construction of the Lake Roland Nature Center and the debris cleanup on Towson Run at Bellona Avenue was provided. The third annual Native Plant sale on April 30th was announced. The groundbreaking for the new Lake Roland Nature Center was featured in both the Winter 2015-16 RRLRAIA Newsletter and the Winter 2015-16 Roland Park News. The RRLRAIA Newsletter also profiled our ranger Jonathan Wood while the Roland Park News highlighted the park’s calendar. The Fall 2015 Roland Park News summarized the park’s fall calendar and featured an article on landscaping for shade by our own Peter Bieneman. In September 2015, the Towson Times featured an article on the nature-themed playground at the Brown Memorial Weekday School. Our own Head Ranger Shannon Davis is featured showing other ways in which the park supports the local community. Lake Roland was well represented in the Fall 2015 RRLRAIA Newsletter. Feature articles covered both Nature Quest and Prothonotary Warblers in the park. Don’t forget to complete your Nature Quest Passport for prizes and free admission to the Nature Quest Festival in Lake Roland on October 17, 2015. In addition, an article on our General Assembly representatives highlighted their support for park improvements. 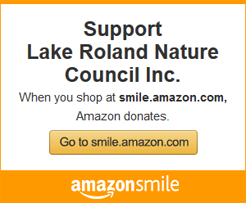 Legislative support is a great start but your donation is still needed to make the Lake Roland Nature Center a reality. The Summer 2015 Roland Park News summarized the park’s summer calendar. Several of our outstanding Park Rangers were featured in both the Spring 2015 RRLRAIA Newsletter and the Spring 2015 Roland Park News. 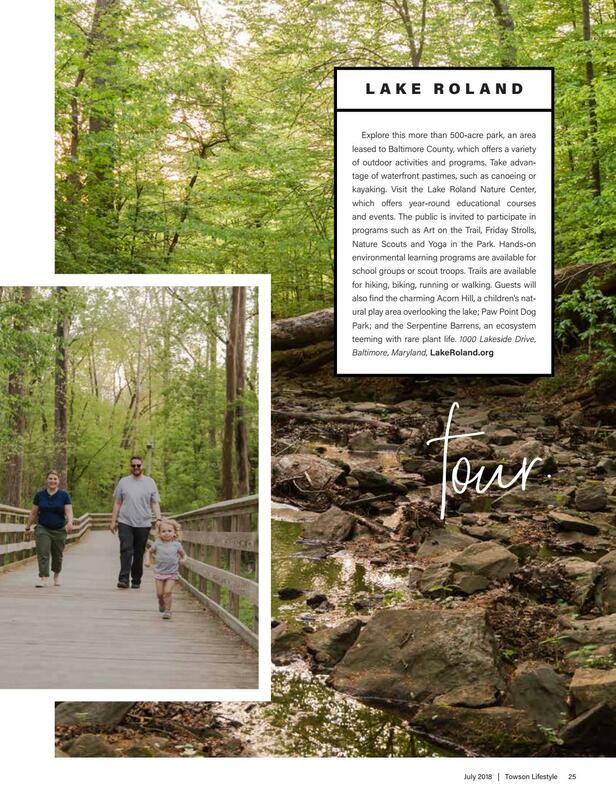 The Lake Roland Nature Center is planned for Lake Roland and was featured in the Winter 2014-2015 RRLRAIA Newsletter. The newsletter also reported on the RRLRAIA annual meeting which featured “Lake Roland – Past, Present and Future“. The Winter 2014-2015 Roland Park News also featured the planned Lake Roland Nature Center. The Fall 2014 RRLRAIA Newsletter provided that rare triple header by featuring the historical Bellona Gunpowder Works, covering the opening of Acorn Hill Children’s Playground, and highlighting an Eagle Scout project in Lake Roland. The Fall 2014 Roland Park News provided additional coverage of Acorn Hill Children’s Playground and a schedule of autumn events in Lake Roland. Our beloved Acorn Hill Children’s Playground opened in June 2014. The opening was covered in the Summer 2014 Roland Park News. For 2014 the Serpentine Restoration Project was in February. The Mountain Club of Maryland published a nice article in the June 2014 Hiker High Points. 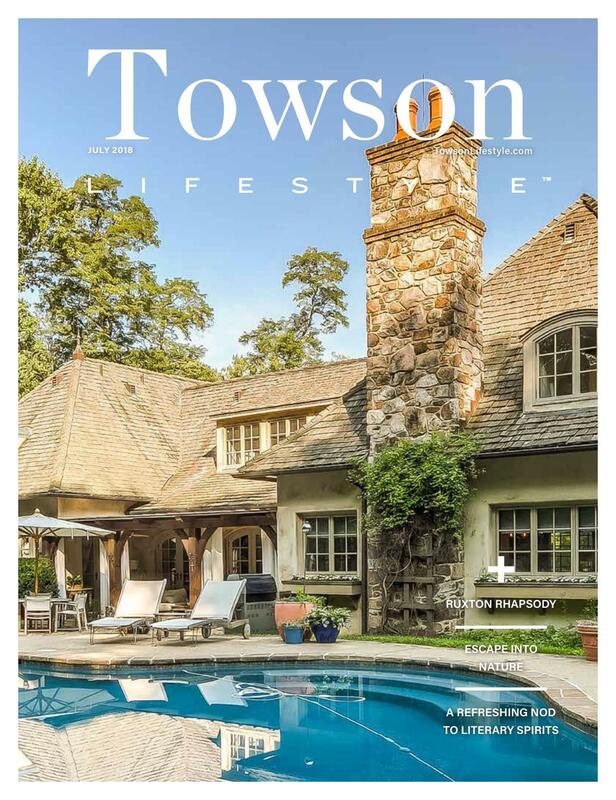 Both the April 2014 Towson Life and the April 2014 Mount Washington Life magazines published articles on Paw Point Dog Point. The March 2014 Towson Life and March 2014 Mount Washington Life showcased the frogs and other reptiles in Lake Roland. February 2014 Mount Washington Life had articles on Bald Eagles and Hooded Mergansers in Lake Roland and the park’s participation in the nationwide Bird Extravaganza. Winter in the park was celebrated in the January 2014 Mount Washington Life. Both the Winter 2013-2014 RRLRAIA Newsletter and the Spring 2014 Roland Park News highlighted the behind the scenes effort of our trail volunteers to improve Lake Roland. Christmas activities and the photography of Ranger Bart Viguers were featured in the December 2013 Mount Washington Life. Both the Fall 2013 RRLRAIA Newsletter and the Fall 2013 Roland Park News feature the Baltimore Checkerspot Butterfly. This rare butterfly is the Maryland State Insect. Lake Roland has several programs aimed to preserve the Checkerspot and restore habitat. The park appeared in “Conservation Watch” in Marylandica Spring 2013. Two views of spring in the park are provided in the Spring 2013 Roland Park News and the Spring 2013 RRLRAIA Newsletter. Both introduce the outstanding park photography of Ranger Bart Viguers. The March 2013 Mount Washington Life featured the painting exhibits placed in local parks by the Walters Art Museum including Lake Roland and Meadowwood Regional Park. Both organizations covered fall activities with a photo of the newly built pavilion in the Fall 2012 RRLRAIA Newsletter and a photo of the rebuilt trestle bridge the Fall 2012 Roland Park News. Multiple activities at the Park including pavilion and storage construction projects, a wildflower walk, and plans to repair the trestle bridge were all covered in the Summer 2012 Roland Park News. The Spring 2012 RRLRAIA Newsletter had three articles about Lake Roland; extensive coverage of our rangers and Paw Point Dog Park and the presentation of the Concept Plan for Acorn Hill. Acorn Hill was also presented in the Spring 2012 Roland Park News. Baltimore County’s Lake Roland was officially opened on October 14, 2011. The Winter 2011-2012 Roland Park News and the Winter 2011-2012 RRLRAIA Newsletter covered the opening. The Summer 2011 Roland Park News provides an overview of the history of Lake Roland from early maps through the formation of Lake Roland Nature Council. The Spring 2011 RRLRAIA Newsletter proves a brief update on Lake Roland Nature Council and provides the first reference to a ‘natural’ children’s playground, now known as Acorn Hill. The first annual meeting Lake Roland Nature Council was covered in the Winter 2010-2011 RRLRAIA Newsletter. It also provides a comprehensive article on the Serpentine Barren in the park; an environmentally important area that LRNC is working to preserve. The Fall 2010 RRLRAIA Newsletter announces our name as Lake Roland Nature Council and provides updates on the park construction. Before the name of Lake Roland Nature Council was chosen, the working name was the Lake Roland Advisory Board. The Summer 2010 RRLRAIA Newsletter discusses the beginnings of the Board with an organization very similar to that of the current Council. The Winter 2009-2010 RRLRAIA Newsletter provided the first comprehensive look at the improvement to the park that were then just beginning. It also provided a comprehensive history of the Lake Roland Dam. Serious interest in Baltimore County assuming responsibility for Lake Roland began in 2007 with State and County funding approved in 2009. The Summer 2009 RRLRAIA Newsletter provides a comprehensive summary of the events that made our park a reality. Even before the County began park restoration, the Fall 2007 RRLRAIA Newsletter highlighted citizen’s work at restoring the Davens Garden overlooking Lake Roland.